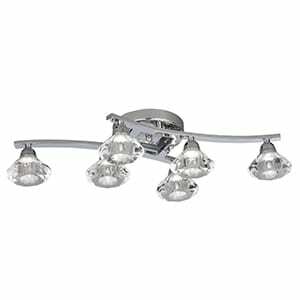 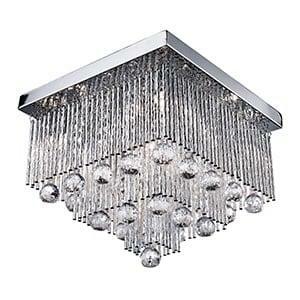 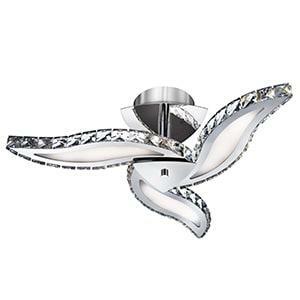 This Zinnia Chrome 3 LED Semi-Flush with Crystal Trim Decoration is modern and elegant. 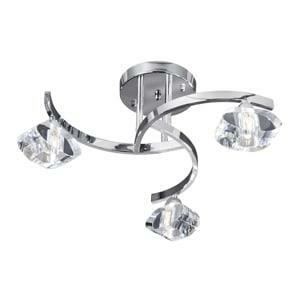 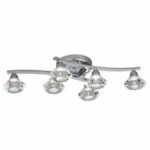 The stylish chrome finish fitting has three beautiful white acrylic leaves with sparkly crystal decor and are illuminated by the latest energy saving LED technology. And it provides style and light for any contemporary bedroom, living room, dining room or kitchen.